The current global academic scenario offers a plethora of post-graduate accredited programs for boosting up your career. 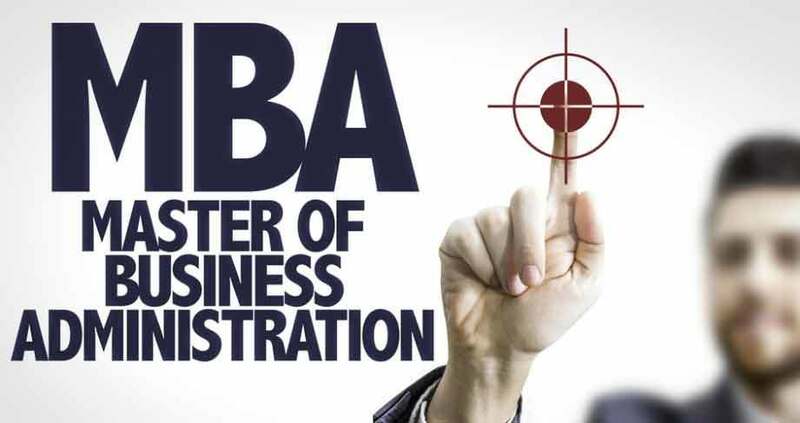 And the Masters of Business Administration is one of the most notable degrees in this segment. An MBA degree comes with its own set of advantages that it has to offer – skill enhancement, better networking opportunities, global exposure, high salary packages, and an overall career enhancement potential. In the past, this course was synonymous to attending college and going through numerous tedious lectures. But technological advances have significantly altered the way we communicate, and thus the way we learn. The path to achieving the advanced business degree has now become more accessible than ever, and it is possible to get through an MBA course from the comfort of our homes. It helps you to balance your academic and personal life and is excellent for people who are unable to attend a traditional on-campus course either due to their own responsibilities or current employment elsewhere. But for those who might be thinking that an online degree would be a piece of cake, they are in for a ride. Online programs are no less than their on-campus counterparts as far as academic rigour is concerned. Both programs entail the same amount of curriculum, lectures, tests, etc., and the online ones are merely the usual program tailored to suit the online platform. It is only a location-independent study made possible with the use of technology. Despite their growing popularity, many remain skeptical about online MBA programs. So here we are going to discuss why an online MBA may be the right choice for you. This is the most lucrative prospect when people consider an online course. While it may seem quite natural to attend classes in a college, it is not manageable for many people who have certain other obligations apart from their MBA aspirations. So, most programs offer a mix of synchronous (live classes at a fixed time, but the location of your choice) and asynchronous (archived coursework that can be accessed whenever you are free) learning. This makes it very easy to adapt to complex work schedules, and efficiently juggle with family and work responsibilities. Online MBA programs offer the ease of accessing lectures, study materials and tests from any preferred location. And it has the added advantage of archived materials that are available at a click. This works great for people already engaged in some school or day-job, who can go through the relevant material at night after completing their work, or after the kids are in bed, as the case may be. For example, Aston University offers an online MBA for Canadians, which they can access from anywhere around the globe. Moreover, the studies are not affected by factors like relocations, job transfers or even occasional travel plans. For students planning to go for an MBA, one of the major concerns is the huge amount of tuition fees involved. Additionally, they also have to bear other costs like food, hostel charges, library fee, etc. which adds up to a huge sum of money. On the other hand, many accredited online MBA courses are available for as little as $5,000 per year, although the costs can go up to $50,000 per year depending on your choice of college and course. You can also choose the number of classes you would wish to take per semester, which means that you can plan your budget regarding how much you can pay over what period. This proves to be a great financial upside. As compared to their brick-and-mortar counterparts, online MBA programs make syllabi, textbooks, reading lists, assignments etc. readily available to the students, without missing out on deadlines. It provides much better opportunities for classroom discussions and debates. Platforms like Google Docs, Voicethread and Yammer enable students to share files easily, organize online meetings, give presentations and connect with their batch-mates. Also, there is no hassle about losing or misplacing any of the study materials. Considering all of the above benefits, an online MBA program can be your gateway to earning a highly valuable and marketable educational qualification and can help immensely in accelerating your career.